Recoverworld Trance Sessions finishes 2017 in style with the series that brings you the very best releases from this powerhouse label group. Fresh as it gets with many of the tracks still featuring on the decks and playlists of the worlds coolest underground trance DJ's. The tracklists and the quality speak for themselves. This is underground trance at its very best and as it is the final release of the year in the series, we have expanded it to 40 tracks for the same price! 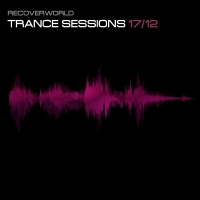 'Recoverworld Trance Sessions 17.12' is available now from Beatport and iTunes.